Industrial lecture was delivered to students on the topic of “INTRODUCTION TO RS, GIS AND OPPORTUNITIES FOR CIVIL ENGINEERS” on 01.2.19. 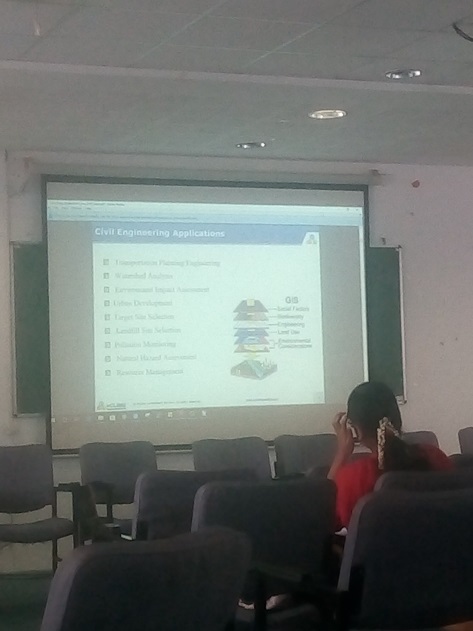 The talk was arranged for Second year and M.E Civil engineering students in CV Raman Hall, from 3.00 P.M-4.00 P.M. 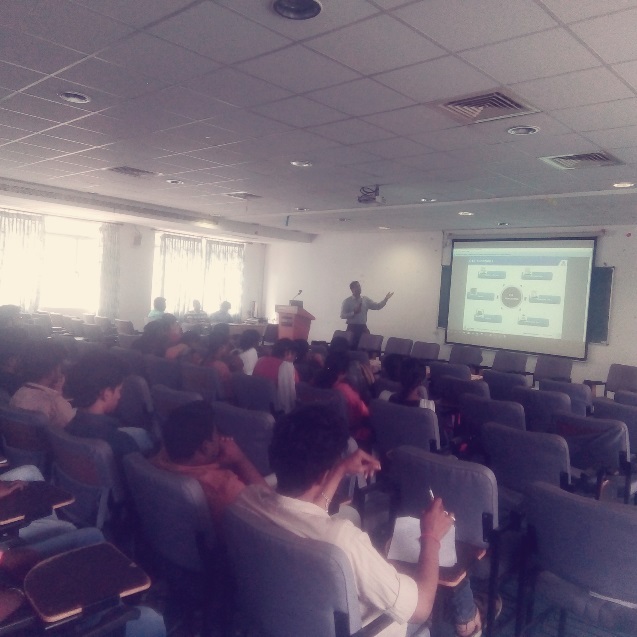 The resource person for the guest lecture was Sitansu B Pattnaik, Director, KCube Consultancy Services private Limited. Around 53 students attended the lecture along with 02 staff members. The workshop is started with introduction of Chief Guest by Dr.Gulshan Taj, Associate Professor/Civil. At the initial talk, main focus is given on Introduction to GIS and different fundamental concepts prevail in GIS. Main focus is given on different government and private sector working in this GIS field. Few projects done by students in other colleges based on GIS software were shown with explanation. Many case studies like flood management in Uttarkhand and Orissa were discussed. He explained the role of GIS in predicting the flood management in both the states and explained the effectiveness of the tool. He also thrown lights on efficiency of construction projects with the aid of GIS tool. Traffic and accident management using GIS also shown with the practical example. Finally sum of application of GIS tool in various Civil Engineering application domains were briefed with practical case studies. A student report on the talk stated that “Since all the concepts was taught with the help of practical examples, students motivated to take up some real time projects where they can apply the concept of RS and GIS effectively”. This entry was posted in Civil Events on February 1, 2019 by Sona Civil Department.